Find free classified ads for Cars for sale, used cars for sale for sale and to buy in Medway. Shown below are classifieds for Cars for sale, used cars for sale. Please use search box above to find other items in Cars for sale, used cars for sale Medway or look at the Medway for neighboring places in the locality. Please contact me only at : unxevtillmandavis@netcmail.com This is the top off the range range rover with all range rover DVD system installed ( never used by me or the previous owner ) , this model has Air con seats, heated steering wheel and all the extras you would expect on this car. Its have a very easy like with no heavy work, everything is in perfect condition as one would expect , this is a very fine example. 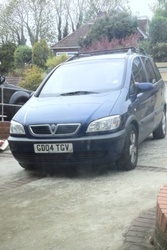 Email me at : mio7cspencerandersen@vfemail.net Low miles, very well maintained, perfect to drive and looks great! Full Black Edition S-Line styling with 19 alloys. 2 new front tyres and the rear tyres were replaced in July 15. Bang and Olufsen Sound System - 14 speakers with 2 amplifiers Heated leather SeatsClimate Control Air Conditioning DAB Radio Audi Music InterfaceBluetooth Connectivity Front and Rear Parking Sensors iPod Connectivity Electric Lumbar Support Email is my prefed contact as I often miss calls at work. Hi, I am selling my Overfinch Range Rover Sport TDV6 2.7 - the car is literally in superb condition with all extras. The pictures speak for themselves but still do not do the car justice. The first person to see this car will buy it. It is very reliable and has been exceptionally well maintained and kept. Top of the Range VW GOLF GTI 2.0 16v Petrol in best most desirable combination - Manual 3dr in Black with very rare MEGA SPEC of Full Vienna LEATHER, 18&apos; Dark Shadow diamond cut Monza&apos; s, Media pack, Winter pack Provenance The Car was registered by VW financial services 21/1/2011 and was owned by them for the 1st 3 years of its life. Email me at : mylesticaln@juno.com Superb Black Toyota Gt86.unmarked Inside And Out. No Paint Chips Or Chips On Alloys.car Has Full Toyota Service History And Has Just Last Week Had A Full Toyota Service.4 New Tyres And Looks Like It Just Came Out Of The Showroom..
MOT June 2014 Tax Feb Good runner Few scratches hence the year Registration 2004. Vauxhall Astra LS 1.4 metallic blue, 53 plates and very economical. 75000 miles with MOT till December and taxed till June, rear parking sensors. Excellent runner! 1450 pounds. Gillingham area. TEL: Martin 07845798179. Silver scenic for sale 1.6 petrol twin sunroofs r/c 11 mths mot goood reliable family car £600 ovno..
Air-Bag, Air-Conditioning, Anti-Lock Brakes, CD Player, Central Locking, Electric Windows, Fog/Spot Lights, Immobiliser, Metallic Paint. Air-Bag, Air-Conditioning, Alarm, Anti-Lock Brakes, Central Locking, Electric Mirrors, Electric Windows, Immobiliser, Passenger Air-bag, Power Steering. Air-Bag, Air-Conditioning, Alloy Wheels, Anti-Lock Brakes, Anti-Theft Device, CD Player, Electric Mirrors, Electric Windows, Fog/Spot Lights, Full Service History, Passenger Air-bag, Tinted Glass, Traction Control. Air-Bag, Air-Conditioning, Central Locking, Electric Windows, Full Service History, Immobiliser, Passenger Air-bag, Power Steering. up for sale is my fiat punto showcar red line modified car is in very good condition and very clean things i have done on it full titna body kit side skites , rear bumper , front bumper and spoiler full respray in metal flack (gritter changes colour on sun and shanny black and gold at night) and. G&M MOTORS ARE NOW OPEN TIL 9pm! !, Dual Climate Control, PAS, ABS, Air Bag, Passenger Air Bag, Side air bags, ISOFIX Child Restraint Mechanism, Side Impact Protection Beams, Front & Rear disc Brakes, VSA, Electronic Brake Distribution (EBD), Electronic Power Control (EPC), Emergency Brake Assist (EBA), . Air-Bag, Air-Conditioning, Alarm, Alloy Wheels, Anti-Lock Brakes, Central Locking, Electric Mirrors, Electric Windows, Full Service History, Immobiliser, Leather, Passenger Air-bag, Power Steering, Sunroof. Air-Bag, Air-Conditioning, Alarm, Alloy Wheels, Anti-Lock Brakes, CD Player, Electric Windows, Fog/Spot Lights, Immobiliser. Air-Bag, Air-Conditioning, Alarm, Alloy Wheels, Anti-Lock Brakes, CD Player, Central Locking, Electric Windows, Fog/Spot Lights, Immobiliser. YOU CAN STILL USE A CABRIOLET DURING THE WINTER AND ITS CHEAPER TO BUY IT NOW. EMAIL ME WITH ANY QUESTIONS XXXX@aol.com Renault Megane 1.6 16v Dynamique Convertible in Silver ONLY 42, 000 MILES Tax til end March 2010, MOT April 2010 Full power blue hood, half leather interior, four electric windows, remote central locking, alloy wheels, air conditioning, power assisted steering, airbags, trendy white dials 6 cd multi changer & fantastic remote audio system from steering wheel to change volume, radio channel, cd selection etc Chrome effect door exit handles inside. Air-Bag, Air-Conditioning, Alarm, Anti-Lock Brakes, Anti-Theft Device, CD Player, Central Locking, Electric Mirrors, Electric Windows, Immobiliser, Metallic Paint, Power Steering. Another nice one from haydnparker Selling for a friend Mercedes C 160 SE Coupe - Jasper Blue Alison told me that she bought the car in May 2008 - "It had 22, 000 miles then with one previous owner from sleepy Stondon Massey, the 16" alloy wheels had 4 new Pirelli tyres in April 2009 and was last serviced at the end of September 2009. Air-Bag, Alarm, Alloy Wheels, CD Player, Central Locking, Electric Windows, Immobiliser, Passenger Air-bag, Power Steering. 2006 VOLKSWAGEN PASSAT 1.9 SE TDI 4dr Diesel Saloon 2006 VOLKSWAGEN PASSAT 1.9 SE TDI 4dr Diesel Saloon 2006 VOLKSWAGEN PASSAT 1.9 SE TDI 4dr Diesel Saloon 2006 VOLKSWAGEN PASSAT 1.9 SE TDI 4dr Diesel Saloon 2006 VOLKSWAGEN PASSAT 1.9 SE TDI 4dr Diesel Saloon 2006 VOLKSWAGEN PASSAT 1.9 SE TDI 4dr Diesel Saloon 2006 VOLKSWAGEN PASSAT 1. Immaculate BMW estate 1.9 Petrol, (2000 Reg), MANUAL, M-Tech Silver Metallic paintwork, Body coloured bumpers .M-Power Leather sports seats M-Power alloys 18" . SE model including:Climate Control, ASC, ABS, Rear parking sensors, Heated electric mirrors, Electric windows, CD player, Front head restraints, Front arm rest, Multi-function steering wheel, Cruise control, Front fog lights, Trip computer, 6 x Airbags, Immobiliser, Alarm, Roof rails, Remote central locking, Rear Load Cover, Split Rear Hatch, Plenty of boot space, Child locks, Isofix child seat anchor points, Insurance Group:12E, serviced regularly, 4 new tyres, Full service history, 2 keys, Milleage 127 k , NO scratch or dents, drive like new, Long TAX -till 31. Air-Bag, Air-Conditioning, Alarm, Alloy Wheels, Anti-Lock Brakes, Central Locking, Electric Mirrors, Electric Windows, Immobiliser, Passenger Air-bag, Power Steering. Air-Bag, Air-Conditioning, Anti-Lock Brakes, Central Locking, Electric Mirrors, Electric Windows, Full Service History, Immobiliser, Passenger Air-bag, Radio/Cassette, Traction Control. Air-Bag, Air-Conditioning, CD Player, Central Locking, Electric Mirrors, Electric Windows, Immobiliser, Passenger Air-bag, Power Steering. Air-Bag, Air-Conditioning, CD Player, Central Locking, Cruise Control, Electric Mirrors, Electric Seats, Electric Windows, Fog/Spot Lights, Immobiliser, Passenger Air-bag. Air-Bag, Air-Conditioning, Alarm, Anti-Lock Brakes, CD Player, Central Locking, Electric Mirrors, Electric Windows, Fog/Spot Lights, Immobiliser, Power Steering. Air-Bag, Air-Conditioning, Alarm, Anti-Lock Brakes, CD Player, Electric Windows, Full Service History, Immobiliser, Passenger Air-bag, Power Steering. Air-Bag, Air-Conditioning, Alloy Wheels, Anti-Lock Brakes, CD Player, Central Locking, Electric Windows, Fog/Spot Lights, Immobiliser, Leather, Tinted Glass. United Kingdom free classified ads for Cars for sale, used cars for sale, Medway, Cars for sale, used cars for sale free ads Medway, Cars for sale, used cars for sale for sale Medway, Cars for sale, used cars for sale to buy in Medway. This page is a listing of classified ads for Cars for sale, used cars for sale category in Medway. This section includes classifieds for sale and to buy in Medway. Cars for sale, used cars for sale Medway ads Medway, Cars for sale, used cars for sale classifieds Medway, Cars for sale, used cars for sale free ads Medway, ads for sale Medway, ads to buy Medway, FREEADS in UK. Find here ads for sale, to buy and rent in Medway. Goods for sale in Medway, vehicles for sale in Medway, Medway real estate for sale, Medway property for sale, property for rent in Medway, business ads in Medway, Medway business classifieds, services in Medway, Medway services ads, jobs in Medway, pets for sale in Medway, Medway dating, Medway cars for sale.